When it comes to commercial waste collection in Moline, Illinois or anywhere in the Quad Cities, area business needs to contract out their waste removal service with a reliable local waste collection company. Restaurants have an especially important stake in finding a reliable garbage company that provides clean garbage containers with lids, etc as they are closely watched by the Scott County and Rock Island County Health Departments. Trash enclosures with spilled debris and sloppy garbage, containers which are overflowing, dumpsters without lids or holes rusted into their sides are all health department violations. The Quad Cities has an abundance of waste haulers which provide garbage removal service for both residents and business. These waste management companies range from local mom and pop waste haulers to gigantic publicly traded waste services companies. Both large and small garbage companies can provide quality waste collection service for business, but a business owner should choose their vendors carefully. Best value for money service is what most business managers look for and this doesn’t always mean using the service or buying goods from the lowest priced supplier. Nobody wants to pay more than they have to, but saving money on waste removal service by choosing a garbage company that misses container collections isn’t desirable either. A professional waste removal firm should have well maintained trucks and containers, safe drivers who pass all DOT requirements including physicals and especially drug testing. Office personal should be helpful and knowledgeable and most of all, they should be available. In some Counties haulers are to be registered with local waste authorities so the waste customer may want to check with local regulations to ensure compliance. 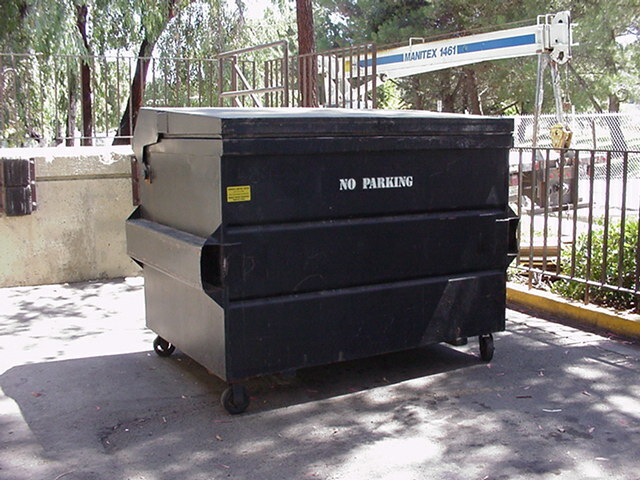 A business must carefully consider such factors as dumpster size and service frequency. As a general rule, large containers being emptied less frequent can add up to big savings when compared to smaller bins being emptied several times a week. This is because truck operating costs are relatively high and frequent dumping of containers consumes valuable/costly truck time, fuel, tires, repairs, etc. But infrequent servicing of waste bins isn’t always practical, take a restaurant as an example- They need to have their waste collected and hauled away two or three times a week to eliminate odors, paste, insects, etc. An 8 cubic yard container dumped once a monty might be the best solution for a business without food waste, but it doesn’t work for a local restaurant in the Quad Cities summer months. Loose stops are actually needed in some parts of the down town areas where alley space is not available for waste dumpsters. New York City is a prime example of where carting companies collect garbage without the benefits of containerization. There are a few spots or business locations in Moline, Bettendorf, downtown Davenport where loose bags are collected. More common is a situation where 90 gallon carts are kept in local business/shops and wheeled out just prior to waste collection. Local business owners are often asked to sign a multi year contract to stars service with a waste hauler. A contract spells out the obligations of the business owner/waste generator and some of the obligations of the waste hauler. Contracts are reasonable in the waste business as garbage companies do have to make significant investments in waste dumpsters, compaction systems, garbage collection vehicles, landfills, recycling centers, etc. But contracts should be carefully reviewed by waste generators as they can be somewhat one sided and confusing. Some contracts for waste collection have an initial term of several years and self-renew unless they are cancelled in writing during a certain time prior to the expiration of the initial term. Additionally, some waste haulers add on extra fees for container maintenance, fuel, administrative fees, container delivery, etc. In some instances extra charges are justified, but the waste generator should understand the charges as well as the obligations of both parties.